“There’s an underwhelming array of restaurants in Hampstead,” laments the table of locals sat next to us. My ears prick up. The conversation turns to the difficulty of finding an independent restaurant in a sea of chains. The table of locals have high hopes that the recently opened Café Hampstead might be the answer, and now so do I. The pressure is on. In the heart of its namesake London village, this friendly neighbourhood brasserie takes inspiration from the café culture of Tel Aviv. It has the laid-back yet buzzy vibe you might expect of a café: the chef calls orders from the open kitchen over a background babble of clattering tableware, chatter and unobtrusive jazz. The décor feels more like an upmarket bistro than a no-frills urban café though. Plush velvet booths the colour of crushed pine needles hug the walls (and are by far the best seats in the house). These green accents, alongside a smattering of botanic prints and actual plants, add a verdant touch to the otherwise cream, chrome and dark wood interiors. We sit in the airy garden room, where the conservatory’s glass ceilings make the most of the evening light, and offer a peek of the neighbouring Rosslyn Hill Chapel. But enough about the setting. 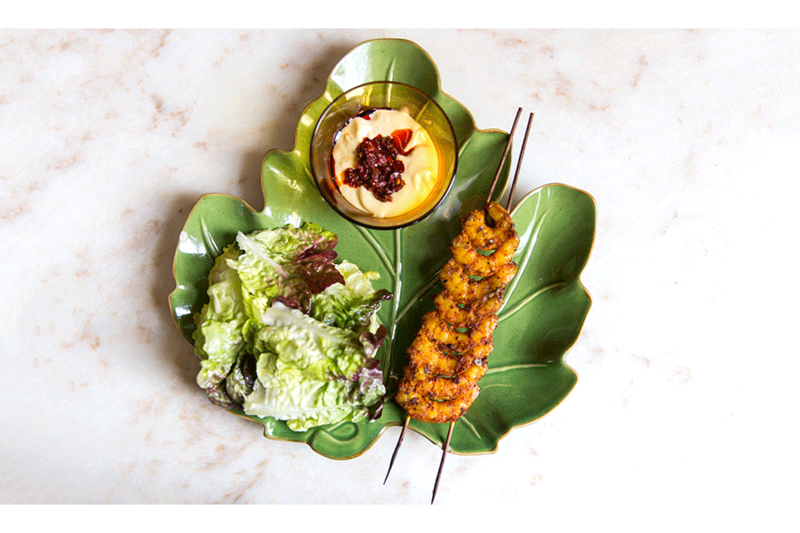 We are here for the seasonal, modern Middle-Eastern menu. More specifically, we are here for the hummus, which we scoop up eagerly with thick warm pittas when it arrives. This is followed by another small plate of smoky aubergine on a bed of creamy tahini. 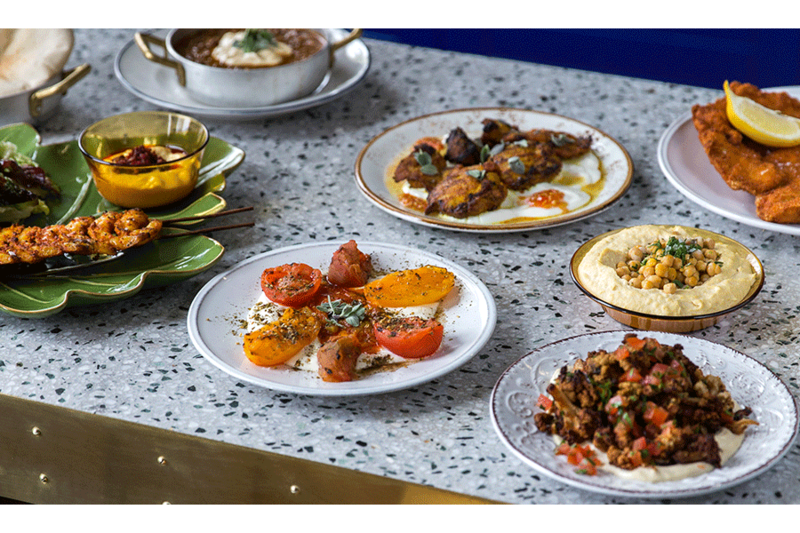 Our large plates arrive in the form of a tasty cauliflower ‘steak’ with charred asparagus, and a steaming Moroccan lentil stew covered with a layer of the crispy fried kale. The typical Israeli ingredients mean there are plenty of veggie and vegan options, but carnivores have lots to get excited about too, from lamb cutlets to a (sizeable) chicken schnitzel. If you’re feeling brave come dessert, the tahini ice cream – yes, really – with hot caramel sauce is an experience in itself. As we leave, still in deep discussion about that ice cream, we walk past several chain restaurants on the same street. They are nowhere near as busy as Café Hampstead. Looks like it’s just as popular with the locals as it is with us.